Never in my wildest dreams did I think that I would end up in Greece this time last year. I’m pretty sure I said YOLO, and made it work. I had committed to go to Greece around winter of last year, but the trip wasn’t until that Autumn! It was quite the wait, hence my last minute Spring Eurotrip and all the in-between travel. I’m pretty sure the longing for Greece turned me into the wanderlust lady I became last year. Before then, I took about one or two trips a year, three if I’m lucky! I’m a workaholic, my friends are workaholics, and so is my boyfriend. We always de-prioritized traveling and took a few vacations here and there. For me, after our last trip to Kauai, the walls between us and the world crumbled. Traveling to see the world didn’t have to be so far-reaching. It’s pretty much all mental. You shop a little less, dine out less often, and get a travel rewards card! 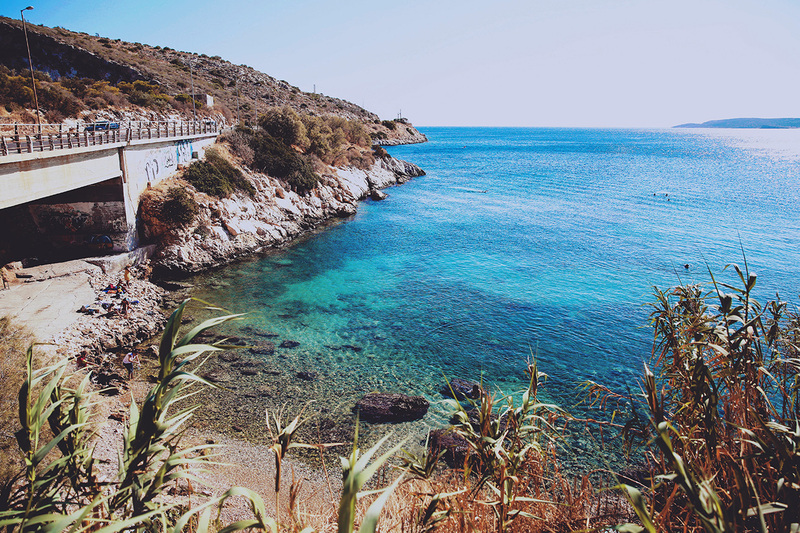 I think this post is partly about going to Greece and then a reflection of 2014. Let’s see. In 2013, Andy and I vacationed in Puerto Rico, road-tripped Maine and adventured in Hawaii. The travel itch was clearly brewing. Before that? Miami (2x), Niagara Falls, Martha’s Vineyard, and so on. I can’t even remember myself, lol. By the time December came, I was pretty wiped out. My last trip ended December 2nd. Now it’s January (my birthday month) and I can finally muse on my previous year. Now, traveling is as natural to me as going out to Chelsea for brunch. It’s become a lifestyle and I don’t think twice about it anymore. Except, when it comes to $$$ and planning. We’re big researchers and always do our due diligence, always. Sometimes to a fault! 2014 was also the year I started to travel alone, but I much prefer the company of my friends and Andy. After all, its all about the memories we make together. I love love looking back on my video travel diaries. It brings a smile to my face. Due to all the travel documentation, 2014 was also the year I started to work with travel companies and tourism boards. It was pretty wild. I focused more on perfecting my photography skills, upgraded my Nikon d5100 to a Canon 5d MKIII. Big steps for this little lady. Imagery became the way I expressed myself. My blog turned into a visual destination, and quickly filled with stories from my travels. Something I hope to continue on this year. I already have some plans in the making! But first, I need to get it together and start posting the rest of my 2014 travels. Look out for Greece, New Orleans, and my Western Caribbean cruise. To think all my visits to these destinations came out of trying to bide my time until I went to Greece. Okay. Enough late night rambling. Back to Greece. This is a photo of Vouliagmeni Beach I quickly snapped before hopping on a bus back to Athens. Where was I before? Soaking in a thermal hot spring across the highway. I’ll have more on that in the next post. Wow! Thank you so much for taking the time to read it! I get so excited hearing about other’s adventures. Iceland will be magical, I hope you enjoy your trip. Aw girl, thank you!! Ahhh, seriously thanks for the love. I really appreciate the feedback.